When teamwork isn’t happening it can lead to miscommunication, misinformation, duplicated or unnecessary work being carried out and the potential for costly mistakes. One of the most important aspects of building an effective team is ensuring that communication is a priority. Internal communications refers to the systems and processes that are involved in sharing information among the individuals that make up an organization. Establishing a respectful and collaborative environment where the sharing of ideas is encouraged will lead to effective team communication and improve your business outcomes. 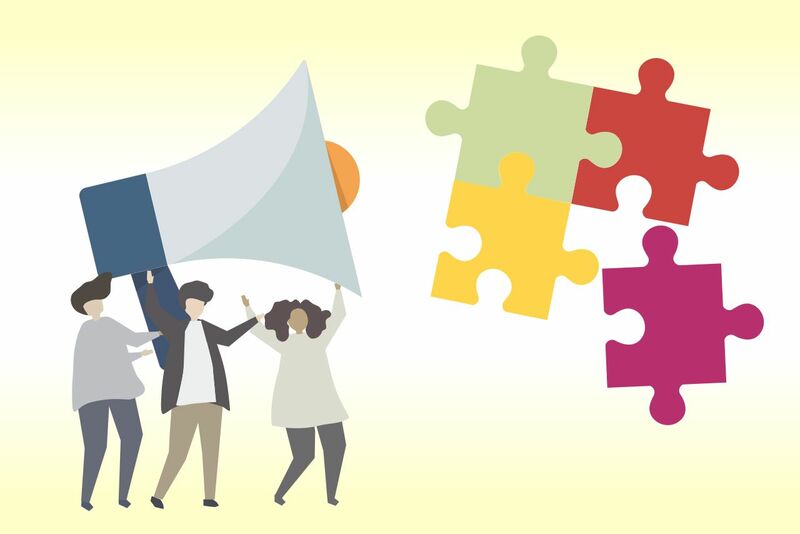 For internal communication to truly be an effective tool within an organization, it needs to be firmly embedded in the organizational culture and front-of-mind for all staff. Setting standards and expectations around internal communications gives your employees the guidance they need to communicate effectively with one another. You can achieve this by having a clearly articulated strategy that includes an internal communications plan. This document should outline what your objectives are, and how you plan to achieve them. If you are already doing some internal communication, determine what you are doing now, how effective it is, and what can be improved. Your senior leaders need to be committed to internal communication and “walking the walk” as well as “talking the talk”. Simply put, don’t expect your employees will communicate better with one another if management is not good at passing on important information or seems to contribute to information silos. Your employees need to look to the company leaders for direction. Management need to not only commit to communicating openly but need to encourage their employees to do the same. Encourage feedback from your employees: it is really important that internal communication is two-way and your staff feel comfortable sharing their opinions and honesty. Key messages. What is it that you need people to know about? You may have different topics that you need to communicate at different times, with different levels of urgency. You may have different messages for different groups of employees. When developing your key messages, it’s important that you distill the information so it is clear, concise and easy to understand. Don’t over-complicate it, and don’t load it up with information that isn’t relevant. Timing of communication. Internal communication should never be an after-thought. You should always communicate with your employees as quickly as you can. For example, if you are making a public announcement about an aspect of your company, it’s pretty bad if employees hear about it first on the nightly news or from social media. You should ensure you tell employees this news either before or at the same time as you are telling the public. Similarly it’s almost redundant to tell employees about things long after they have happened or not give enough notice or lead-time for other information such as events, deadlines or training opportunities. Who is responsible? Every organization has its own unique structure. In some organizations you may have a communications department that is ultimately responsible for all employee communications. In other organizations it might be something your CEO or other leaders do, while in others it might be a function of HR. It really doesn’t matter who is responsible for it, so long as it is a priority task and is being carried out effectively. Delivery channels. Don't put all your eggs in the one basket when it comes to the channels that you deploy to communicate with your employees. Use a mix of channels – including traditional methods such as meetings, newsletters and emails. Combine these with new and innovative internal communication methods such as using apps, corporate social media or team collaboration platforms. 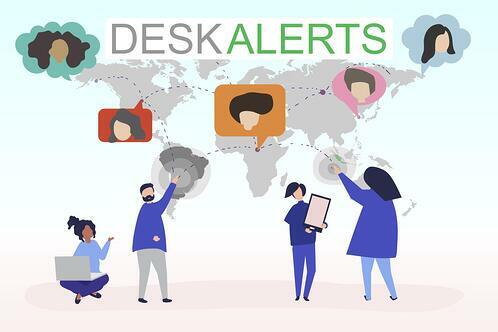 An innovative tool many businesses are using to boost internal communications is DeskAlerts – internal communication software that works by sending pop-up notifications straight to the desktop screens of employees. 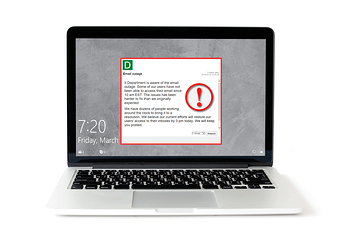 DeskAlerts bypasses the email system, which is often unreliable, and gives you peace of mind that your important communication has been sent. Messages will appear even if a computer is locked, on standby or on screensaver mode. Measurement. You may have a feel that internal communication is lacking in your organization, or you may have had feedback and complaints from employees saying they don’t feel as though they know what’s going on. While this can be a helpful way of gauging what the situation is and what you need to improve, you can’t be certain you are achieving meaningful change unless you do proper measurement. Do a baseline survey of employees to determine what the starting point is. You can then survey again later to see if there has been an improvement (or a decline). There are many benefits to your company when your employees are more engaged and informed as the result of improved internal communication. Another study by Dale Carnegie found that companies that have engaged employees outperform companies without engaged employees by up to 202 per cent. Internal communications has a direct bearing on how engaged your employees are in the workplace, which in turn affects levels of productivity. A study by McKinsey found that organizations with connected employees had a 25 per cent improvement in productivity. When your team members don’t completely understand the big picture for the organization, what its corporate vision, goals and priorities are and the role that they play in making this happen, they can be misinformed. They may make costly mistakes. Or they may become disconnected and disengaged. When you communicate effectively internally, everyone is on the same page and is hard at work trying to achieve the same goals. You have less confusion and a better functioning team. Engaged employees are effectively your brand ambassadors – they are the human face of your organization. They deal with customers, clients and other stakeholders. When they are passionate about the work they do, they share your successes on social media. They tell their family and friends about you. They drive profits even when they aren’t actively trying to do so. Disengaged employees, on the other hand, can be a disaster for a company. It’s estimated that in the United States alone each year, $370 billion is lost as a result of disengaged employees. Productivity is directly linked to profitability – and the more engaged your employees are, the more they will want to see the company succeed and make a profit. 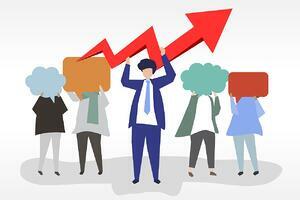 Low levels of employee engagement have been linked to high levels of employee turnover. When your employees leave they take valuable corporate knowledge with them. It can also be a costly exercise as you have to recruit and retrain new employees to replace those who depart. High staff turnover can also create a sense of unease and instability and affect the morale of other employees which can, in turn, cause those employees to be disengaged and seek to also leave. According to the Corporate Leadership Council, engaged employees are 87 per cent less likely to leave their employer. Around $11 billion is lost every year from companies as a result of employee turnover. If you need any more incentive to boost engagement via improved internal communications, this sobering statistic might help: a 2016 Gallup poll found that just 34.1 per cent of American workers said they were engaged at their jobs. Another 51 per cent said they are not engaged, with the remaining 16.5 per cent considered to be actively disengaged from their roles. Helping your employees to understand their purpose and the importance of what they do in your company could make a massive difference. A LinkedIn survey carried out by research company Imperative found that 73 per cent of people want a career where they feel as though their job matters. These employees are most likely to be actively engaged with their jobs. Internal communications can be challenging for many businesses and it can be tempting to relegate it to the back seat or the “too hard” basket. It takes time, effort and ongoing commitment to get it right – but the results are worth it. In addition to increased productivity and profitability as we discussed above, there are many other good reasons to improve internal communications. Developing better managers. When you invest in your management team in any capacity, it will help them become better leaders. When they are encouraged to become better communicators as part of your internal communications strategy, this will result in them honing their leadership skills. Strong leaders inspire and motivate those around them and encourage them to perform at their peak. Cementing your organization as an employer of choice. When you have high levels of engagement and staff satisfaction, word will quickly spread that your organization is a great place to work, making it a desirable destination for the top talent in your industry. An open and transparent culture. There are pros and cons to having a more “organic” style of internal communication – ie the company “grapevine”. A more informal way of messages spreading can help build relationships between employees as they discuss information that has been shared by management. The flip-side of this is that rumors spreading can be anything but helpful – misinformation, misunderstandings and even downright malicious lies can quickly spread like wildfire, and once out here, can be difficult to control or correct. When you have good internal communication processes in place, it can help to stop rumors and false information from spreading – or at the very least slow it down. Employees value transparency in their organizations so when you are open and honest and communicate directly to your employees in a timely manner, you can be on the front-foot and in control of any messages that you want to impart. Benefits for your external image. When you don’t have an effective internal communication strategy in place, you run the risk of a team that lacks cohesion. Misinformed and ignorant employees can make your company look bumbling and inept to customers and clients: they can make you look bad. If your company looks like a debacle this will be good news for your competitors who look like slick operations with engaged and informed employees at the help, giving good customer service. Happy customers. Customers expect that they will get what they are promised when they deal with a company. Unfortunately they can have unsatisfactory experiences when there is poor internal communication in place in an organization’s culture. When your employees are subject to clearly articulated and well communicated goals and information, they’ll be able to serve customer needs better and deliver outstanding experiences. When your organization becomes well-known for these good experiences, you build up trust in the community with a reputation for being reliable and trustworthy. This good-will is something that money cannot buy and gives you a tremendous advantage over your competitors. Better outcomes in a crisis. When a business becomes embroiled in a crisis situation, rumors and misinformation can spread quickly, which can make the situation much worse. When you keep your employees adequately informed throughout a crisis situation, they’re less likely to spread unhelpful information.